The Highlands Ladybirds hit the road Thursday and came away with a 10-1 loss to Harrison County in six innings. The Ladybirds are 1-2 on the season. PHOTO: Allen Ramsey, DWCPhoto.com. 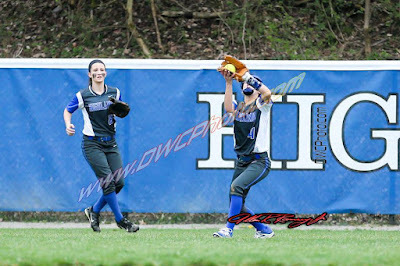 Highlands seventh-grader Anna Greenwell (4) makes a catch in a recent game while senior outfielder Kara Fornash converges. The Highlands Ladybirds softball team (1-1 overall) earned its first win of the season rallying past host Loveland (Ohio) by an 18-15 count Wednesday. PHOTO: Allen Ramsey, DWCPhoto.com. 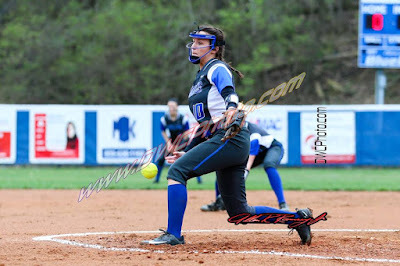 Highlands senior pitcher Jenna Martin fires to the plate in the season-opener against Campbell County on Tuesday. 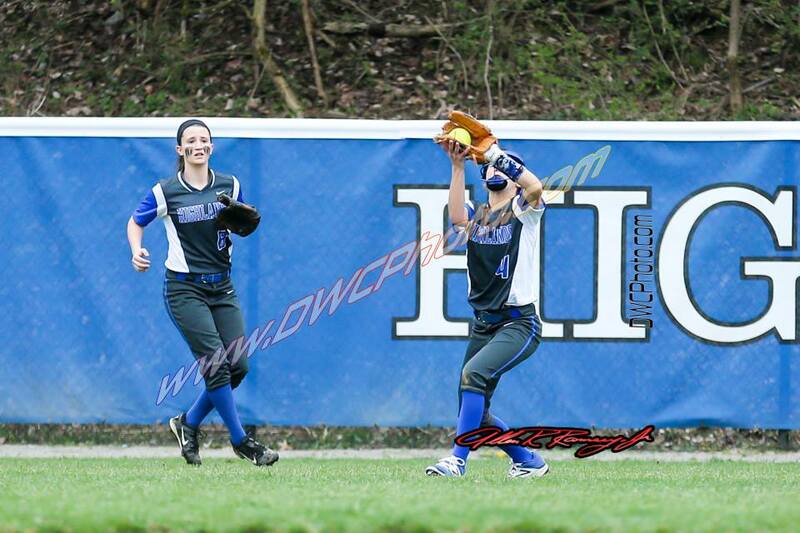 The Highlands Ladybirds softball team dropped their season opener to Campbell County, 9-4. Campbell County improved to 3-0. The Highlands Ladybirds softball team hoped to open the season against Bellevue on Monday. It did not happen as a result of excessive rains. PHOTO: Allen Ramsey, DWCPhoto.com. 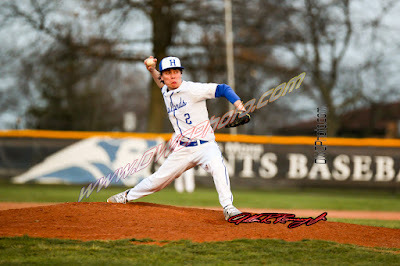 Highlands junior pitcher Ryan Adkins fires to the plate in a recent game. The Blue and White ventured to Independence and came home with two more victories in two different fashions Saturday. PHOTO: Allen Ramsey, DWCPhoto.com. Highlands freshman Ethan Kavanagh swings through a pitch against Boone County on Friday. The Bluebirds edged the Rebels, 10-9 in 9th Region action at Thomas More College. 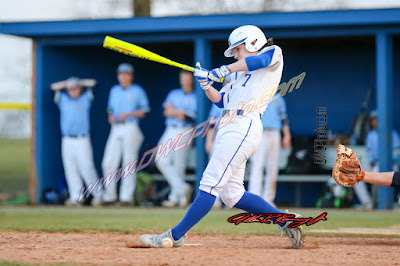 The Highlands Bluebirds baseball team (2-0) wanted to take better approaches at the plate in the second game of the season. The score does not indicate it necessarily. But like a lot of teams, the defense is head of the offense to start the season. The Highlands Bluebirds recorded 10 hits to go with excellent pitching and error-free defense on their way to a 12-0 victory over the host Walton-Verona Bearcats (1-1) to open the season Wednesday. 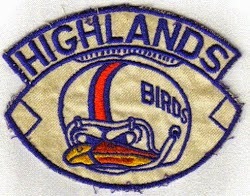 The Highlands Bluebirds could not open the season against Conner on Tuesday because of the weather. Highlands travels to Walton-Verona on Wednesday at 5 p.m. The Highlands Ladybirds softball team scheduled its season-opener at Newport on Tuesday. But it was cancelled because of cold weather.